Tread pattern: The best tread pattern for winter is deeper treads with longer knobs or spikes, that are spaced further apart than normal. This enables you to grip deeper into the mud and stay on your bike for longer. It also stops mud jamming up your fork or rear stays. 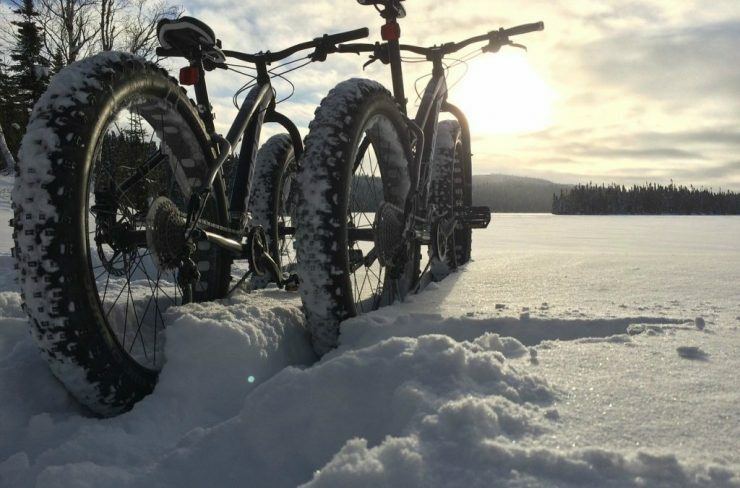 If you bike in the snow, you can even get tyres with small spikes to help you stay upright. However, be careful as falling on them will be very painful! Compound: The compound of the tyres is important too during the winter months. You’ll want a tyre that’s actually slightly sticky, as this will help you grip onto wet roots and trails. The problem with this is that it will increase your roll resistance slightly, but that’s a good payoff when you’re trying to get around in bad weather. Width: You actually have two choices when it comes to the width of your winter tyres. You can stick with thinner tyres that offer deeper treads, and less surface to allow for more clearance around the fork and rear stays. However, this means that you’re at risk of punctures. You can go for a wider tyre, which gives you much more manoeuvrability over mud, but it can cause blockages due to the tighter clearance. Optional features: There’s other features you can take advantage of too, if you really want to get the optimal ride this winter. 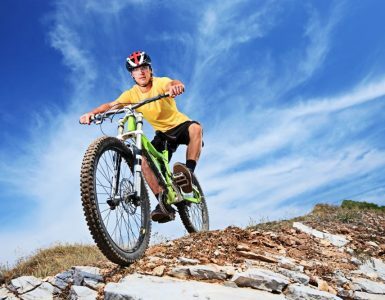 Tubeless tyres remove the inner tube and give you more control over your ride. You can also pick tyres with sidewall protection, but this does come at the cost of extra weight. Looking to replace your tyres with more winter appropriate ones? Here are some of the best tyres on the market right now. Schwalbe Ice Spiker Winter MTB Tyre: These tyres are some of the heaviest duty winter tyres on the market. The spikes in these tyres will keep the bike on the road no matter what. Many customers have bought them for their commutes, making it easier than ever to get to and from work in bad winter conditions. If you do go with these tyres, be advised that you’ll need to run them in on tarmac or a similar surface for around 40km, before you use them on any rougher terrains. Schwalbe Marathon Winter Tyre – Race Guard: These tyres are designed to give you the most control on the road when the weather is bad. The studs in the treads will grip to any surface, helping you stay in control even when the weather says otherwise. The best way to ride on them is with minimum pressure, when you’re riding on ice. If you’re riding on ice free roads, maximum pressure is the way to go. Maxxis Wet Scream DH Tyre – Dual Ply: Maxxis make tyres in a variety of different compounds, which helps you get the just the style of ride that you want. This model is designed to help you keep your grip in wet mud, thanks to the deep, wide treads and the ‘super tacky’ compound. This compound is an award winner, and used by racers all over the world. Continental Mud King MTB Tyre – ProTection: These tyres are designed for riding even in the wettest and muddiest conditions. The BlackChili compound these tyres use are reported to be excellent at self cleaning and grip to roots, stones, and other slippery terrains. What’s even better is that they’re perfect for converting to tubeless, as they have a tubeless compatible bead. Panaracer Fire Mud Pro Comp Tyre: These tyres are designed for riding through deep mud. If you’re into racing round the trails no matter what the weather, these will be the tyres for you. It offers more traction on the ground, without sacrificing good roll resistance. You can keep up speed while keeping control, making them perfect for cross country rides in the wet weather. 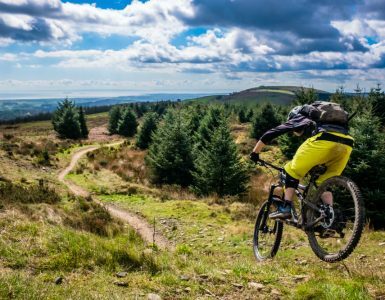 Michelin Wild Mud Advanced MTB Tyre: Michelin have created a tyre that’s designed especially for the mud, giving you greater grip, speed and mobility in the wettest conditions. The GUM-X 55 shore-A compound gives the tyre the stick it needs to stay stable in wet conditions. As well as this, the ‘twisted’ tread style gives you deep treads that can get their grip no matter where you’re riding. Continental Spike Claw 120 Winter Bike Tyre: This tyre is designed for extreme weather use only, so if you live somewhere that gets extreme rain or snow, this is the tyre you should try out. Thanks to the wideness of the tyres, the spikes on them barely sink into the surface of snow and ice, giving you a smooth ride. The open tread also has good self cleaning properties, meaning you’ll spend less time cleaning mud or snow out of the fork and more time getting to where you’re going. As with most things, you’ll need to pick the tyre that’s right for your riding style. If you spend a lot of time in the water or snow, then a tyre with spikes and other extreme weather features will be right for you. If you want to ride the trails when they’re muddy, then wide deep treads are what you should be looking for. 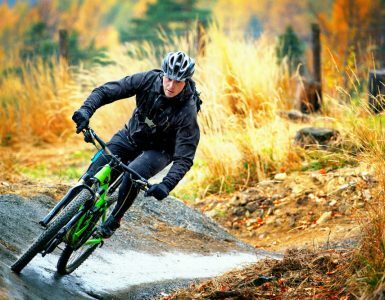 Use this guide to find the best mountain bike tyres you can fit this winter, and keep going through the rain and snow. Nothing will stop you getting out there!